Promoting your business is the recipe for success. Promotional print allows you to get your message out to the world effectively so it can reach as wide an audience as possible and increase the returns you will make on your sales, offers and events. As the name suggests Promotional Print is tailor-made to promote and advertise your business, product or service. This product range is made up of a large and diverse group of printed products, ranging from flyers and leaflets to printed promotional items such as pens and mugs. What are the uses of promotional printing? Many of the promotional printing products can be used to either spread the word or keep you, your company or your service fresh in the mind of your clients or potential clients. For example, flyers can be useful to advertise your business, where mugs or fridge magnets are a great way to be remembered. These products can assist marketing campaigns or serve as informational literature. They can form part of gift packs or add that extra special welcome to a new client or contract. Promotional print items are a fantastic cost effective way of getting your name out there, with our flyer prices starting from £19 for 50 units these promotional tools suit any budget. Which product is suitable for my required use? Depending on the product you are ordering our productions times can vary. 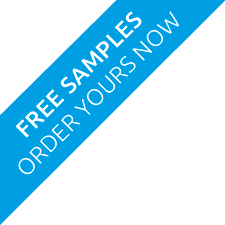 Standards promotional items are generally printed and delivered within 3 workings days. However, for those of you that are going for a more niche products such as pens or mugs you will need to allow yourself a little more time. We recommend at least 10 working days, but please do get in touch if you’re in a hurry and we’ll do our best to meet you requirements. Just thought I would drop you a quick email to say that my A3 posters and A6 flyer's arrived this morning. We are delighted with the results and will certainly be placing more orders in the very near future. Thanks for all your help. My experiences with Face Media Group were only positive. Their staff were polite and personable; did not try to force me into expensive packages I didn't want; seemed to know their profession very well; gave very helpful advice; the website was easy to use; they were extremely efficient; and the quality of the posters and flyers was far greater than I imagined and cheaper than all the competition I tried and with higher quality. I will definitely use their services again. The response of Facemediagroup is always quick and certain. The customer service on phone is kindly and helpful. The working progress is on time. All went very well yesterday - we found that the flyers were more appropriate, than those of the business cards. The Photosout.co.uk team handed these to every stand towards the end of the day when it was a tad quieter. We handed them out promo side up - which got people reading them immediately. Flyers were also left for exhibitors and students to pick-up throughout the day. week and hope to get you a design for a CC flyer over by Monday. We are more than happy to help - where we can. I just wanted to say thank you. I ordered my flyers last week and they were delivered Wednesday lunchtime....just like it says on your website! They look great....I shall be very pleased to be handing them out this weekend at the Millennium Stadium in Cardiff. I would also like to thank Liam for his advice over the phone. I wish all the companies I deal with were as helpful and efficient as this one. Thankyou very much for the A5 flyers. I just wanted to compliment you on your quality of printing. I've had a few prints done before from other companies, however your results were far superior. Thanks again for your services. I just wanted to say that I have been very please with your service, over the phone, with quick and on time delivery, and everything packaged really well. flyers and posters has been done for my second job, a new club night, and my day time job is UK Marketing, and I deal with a lot of companies with printing and designing and I have found your company to be very good on service. Thank you very much, and I will be using you every month now, for my flyers. Just wanted to say thanks for the postcards. I received them on Saturday and they are spot on. Thanks again for going the extra mile – it is much appreciated and I will certainly recommend you as a result. Just a quick note to say thank you for a fantastic service….the standard flyers arrived on Wednesday and I have to say I am really impressed with the quality – it far surpassed any expectations I had given your prices. You may well have also had an order from ABG Accountancy after I recommended them to you after the really good help one of your technical people gave me over the phone last week …it was over and above the call of duty and much appreciated seeing as I knew nothing about CMYK printing! I have recommended you to a number of others and indeed are currently creating art work for Ultimate Rider Services – expect an order on Monday/Tuesday of next week from them. Feel free to quote me – you are a member of a small group of companies that seem to have actually got the exact balance between great service and great product. Thanks again. I found Face Media Group on a web search engine. I rang for help as I'm a bit of a "Design Technophobe". The staff was brilliant, I asked them to do what they thought, as I didn't really know what I wanted. I emailed the wording and asked that the printed leaflet had a violet flower as a logo, but left the rest to them. In less than 24 hours I had a copy my leaflet to check over, I was really pleased with how they had put it together, paying couldn't have been easier and the delivery arrived within 3 days. 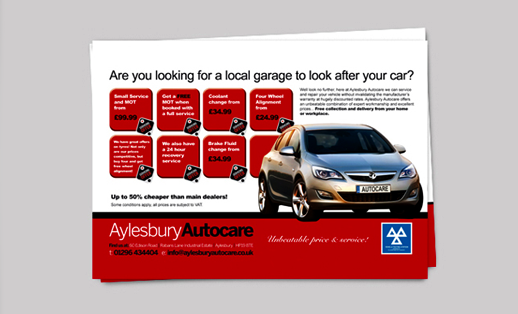 The leaflets are well made, excellent quality, really eye catching and very well priced. I will definitely use FMG again and just wished I'd found them earlier so they could have produced all my literature.